Mock-stamped-white-label artwork. Comes in Hyperdub black die-cut sleeve. Initial press of 5000.
it seems cynical, thrown-together, an intoxicated mess, a pathetic shadow of both artists' amazing (years ago) prior work... I would love to know the real story behind this record. And all this time I thought they were the same person... Anyway, I've enjoyed and purchased releases from both of these artists, but I'm gonna pass on this one. Not quite my steelo, but it seems to be a logical progression in terms of what to expect from both these producers in the future. Surprised to see all of the hate on here - I'm personally feeling this. From an ambient/experimental perspective the track contains some fresh elements. "Got me Fucked Up" vocal is my favorite element of the track which serves to punctuate a real emotional state. Not even two minutes in and I'm already sick of that vocal. I'm not a Burial fan one bit and would never have bought a Burial record, but this is definetely my favoruite track of him. 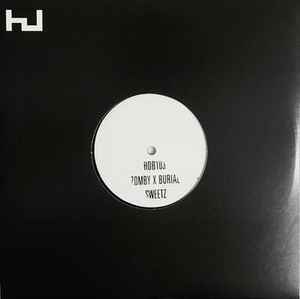 No doubt about most of the Burial releases but good to see this release finally ends the HYPE.